Thoughts on the current real estate market, home improvement, life in Somerset, and much, much more! Winter weather is here in a big way this week! And as much as I would love to see Summer roll around I know that it is a long way off. As depressing as that is there are some good things about winter. You get a perfect excuse to binge watch Netflix if nothing else! What are some of your favorite things to do when the temperature drops? We would like to wish you a very Happy New Year! We thank you so much for making 2014 so spectacular and we cannot wait to see what 2015 has in store for every single one of you! We are truly blessed to have a community this great! 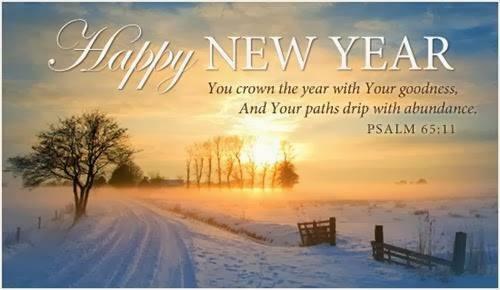 May God bless every single one of you this upcoming year! We are so thankful for all of you! We wouldn't know what to do without our fantastic community! What is it that you’re most thankful for? If you are currently renting a home what are some of the things you look for? 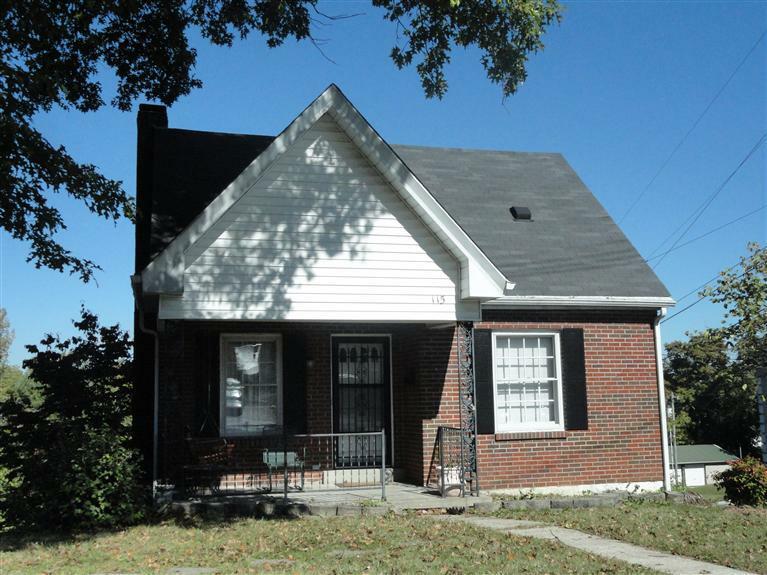 Close to town, work, schools? What specific items are on your check list? When it comes to décor I often feel stuck and always end up going with a neutral color. Do you ever feel this way? I loves seeing all these bright colors but would never know how to decorate to make it all feel cohesive. Have you ever had this problem? Any tips for the design challenged? What factors made you decide on the home you did? Was it the location? Size? Floor plan? How many pros and cons did you have to weigh before making this decision or was it love at first sight? If you’re considering a new home what things will you be looking for this time around? It's kinda sad to see it go. This is the last weekend for Somernites Cruise for 2014. Fall weather is finally here, leaves are changing, pumpkins are in every recipe we cook. What do you love most about this time of year? Are you sad to see Summer go? I’ve been seeing a ton of DIY projects with pallets. Has anybody ever tied any of them? What has your results been? I have a few sitting around and would love to do something creative with them. Bear Wallow Farm is open once again! I love going there and enjoying all the fall festivities! Have you ever been? If so, what is your favorite memory? Can't believe it is already time for the Somernite's Power Cruise. Without a doubt it is the biggest car show of the year! Is anybody else excited to see all of the classic cars come into town? What is your favorite part about the cruise weekend? What are some of your favorite tricks for staging a home? Removing clutter, moving furniture, or new paint are all great ideas to freshen up your home. More and more homes are being found online. With various apps being offered to help with this search the mobile phone has become the new desktop. What is your favorite app for searching for homes? Have you found one that has better information than the rest? We're in the process of getting more information on our YouTube channel. What would you like to see? Interviews with our realtors? Facts about Somerset? You let us know and we'll do our best to make it happen!! Kids are back in school for Pulaski Co! It has been so awesome seeing everybody’s first day of school photos for the year. What is your favorite back to school memory? Do any of you have a tradition you do this time every August? I've been reading a lot about crowdfunding being used to get a down payment for a home. There are numerous sites which allow you to start an account to have people donate to your cause. Would you ever do this to come up with a down payment for your next home? Have you went to the fair yet? What has been your favorite ride or event so far? Trying to Choose a Listing Agent? Choosing an agent can be a tough experience. You want what is best for you and that is completely understandable! Ask questions about the process. What they will do to help sell your home quickly. Ask for advice as to what you can do to sell your home. The right realtor will help you in every step of the process to get you the best price for your home! The Derby is tomorrow! Who is your favorite for the win? What are some of the traditions you have on Derby Day? I remember making hats many, many years ago! I love living in the Lake Cumberland area! Spring and Summer are my absolute favorite times of the year. Going out on the lake, fishing, Somernite's Cruise, the waterpark, and the list goes on. What is your favorite thing about living in this area? Let us know and your responses may end up on Facebook! We have our new website finally up and running! What to you all think so far about it? We'd love for you to let us know! If you had the time, and the budget what are some renovations you would like to do to your home? Would you design a gourmet kitchen or a master bedroom retreat? What are some things you would be interested in hearing about on our blog? Is there a particular topic that interests you? UK had a great game and we would like to congratulate them on a fantastic season! Great job guys and we are so proud to call ourselves part of the Big Blue Nation!! The Very Best Lake View Ever!! What a great lake property! You can sit on your deck & feel like you are touching the boaters. This unique home was built in 2007. It has 4 bedrooms and 3.5 baths. Ceramic tile in kitchen, dining and all baths. 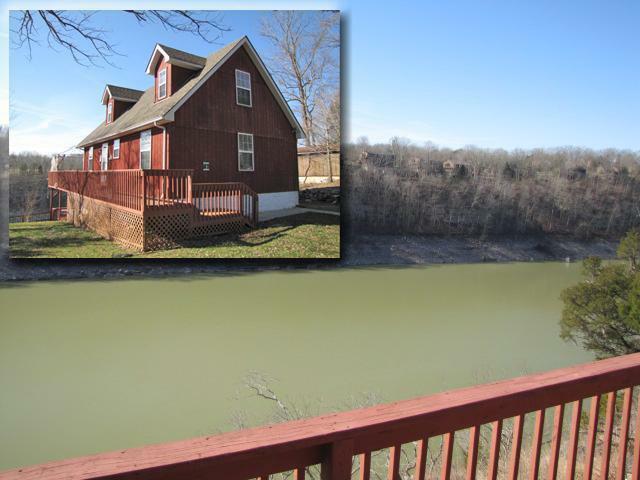 Great deck overlooking lake & lower level deck overlooking the lake off of rec room. Home sits back from road and is very private. Balcony is off large bedroom upstairs for watching the stars. There are 2 paths in the area to walk down to lake level. This home is on a dead end street. The kitchen has all appliances & breakfast bar. Only minutes to Burnside Marina. The view is magnificent. You must see! We’ve been working on our Pinterest page for a while now. What are some of your favorite things to look at on there? Check us out and give us suggestions on what you would like to see! I love the idea of taking something like a wood pallet and making it into a piece of furniture or display case for photos. What are some of your favorite things to rework and make something new out of? When looking for a home what it is that your checklist includes? Other than enough bedrooms and bathrooms for everybody what are some other requirements you are looking for? Are hardwood floors a must? What about granite countertops? We’ve all heard how eating less meat is beneficial to our health. Lowering things like cholesterol and blood pressure are just a few of some of the advantages. Since the meatless Monday trend started a few years ago it had been catching on Nationwide. Have you ever participated? If so did you keep it up? What was the reaction you got from those you were cooking for? It is officially the first day of spring! I am so excited about warm weather after this rough winter. What is your favorite part about Spring? A recent study by Western Union found that half of all millennials expected to buy a home in the next 5 years. The article also stated reasons why as many may not be considering a house anytime soon. They were all valid points. Renting is much more flexible, if a job offer comes along requiring a move for example. Other things like higher student loan debt were also indicated as factors of concern for those wanting to own instead of rent. The link to the full article is below. Just found a report stating some of the hottest home colors for this year. Gray was super popular as well as white, some brighter colors included purples, greens, and blues. What are some of your favorite color combinations? Do you prefer neutrals or color on your walls? Warm weather is finally starting to hit. While it’s still chilly on occasion spring is definitely in the air. What is your favorite thing about this time of year? Amenities certainly make a place stand out when apartment searching. However, how much more would you be willing to pay to have these amenities? Would an extra fee be worth some of the services you may use only occasionally? Flipping a house was once very popular. However, when the housing bubble bust flippers began losing money. Since 2011 there has been a 114% increase in house flipping. This may be a great sign that the housing market is back to stay! This past weekend was the Home and Product show at the Center for Rural Development. It is a great event for those who are looking to renovate soon and curious about what new products are out on the market. If you attended what were some of your favorite products for the 2014 year? We all know Pinterest as the photo sharing site with recipes, DIY projects, crafts, and everything else imaginable. Lately there have been more and more photos of homes for sale being placed on Pinterest. We were wondering if buying a home you first saw on Pinterest would be something you would ever consider? Research shows that new home buying is falling. Would you rather buy an older home? They generally come at a cheaper price, however, things are more likely to break quickly. Is the smaller commitment upfront worth the chance of having to fix issues as they arise after moving in? The weather just seems to be getting colder and colder. What are some of your tips or tricks to stay warm? Comment and we may post some on our Twitter or Facebook throughout the day. Ran across this great article stating what needs to be done before getting ready to list your home. Most of us don’t think of packing before you have found a place to move to. But, it’s important considering less clutter does help stage your home among other things. Start clearing away things you will not be using any time soon. Take the fall, Thanksgiving, and Christmas decorations and pack them away. You will be in your new home before you need them again. We're now officially on YouTube (dangerous thought!) We already have one video up and are working on getting more available soon! What types of videos would you like us to post? We're thinking some homes, some about Somerset, maybe a few about the Lake. Who knows? We're likely to surprise you! Check out our channel and see what you think! MSN recently came out with a list of 5 signs you may be a renter for life. While renting does have some great advantages, like being able to move much easier, or you’re just indecisive (I could be guilty of this.) What are some of your favorite things about renting? For those who do own a home do you miss some things about renting? To see the full article just follow the link below. We ran across a study recently claiming that caffeine actually helped you remember details better. They had people take a caffeine pill (Roughly the same amount as a large cup of coffee) and had them look at faces, 24 hours later they had to pick out who were in the previous group. The ones who had caffeine done significantly better. This is awesome news for this office until we read the benefits were only with one cup. I need more than that before I’m functioning but it was worth a shot. Do you find this to be true? Have you noticed a difference? Found a video online about Somerset, KY. If you were in charge of making a video for this area what are some things you would include? Found a great article I would just like to share. Would be an amazing resource for anybody considering buying or selling a home. A recent article (at bottom) sorted various types of neighborhoods into 12 distinct categories. Where does your current home fit in? Based on the descriptions would you rather live in a different area than what you do now or are you perfectly content where you are? If you’re like me you freeze this time of year. It doesn’t matter if I’m indoors or out my toes and fingers stay cold. Last night I had my heat on 90 and a coat on. It was bad. Found a great article giving some great ideas to cozy up your home and keep it warmer. Had some great ideas from doorstoppers to cooking more often. We all know the weather is cold. Very cold. Bitterly cold. Horrible actually. (Can't you tell I'm a summer person?) Frozen pipes are everywhere after the past few days of subzero temperatures, my house, the office, schools, everybody is dealing with this in some fashion. And it isn't fun. We've all heard to keep water running, put heat tape on pipes, or leave cabinet doors open but sometimes it just isn't enough. Ran across a great article giving more advice on how to keep pipes from freezing. Would have been good to know a few days ago! Take a look and see if there is any other tricks you would like to add to the list. Maybe next time I'll use them and save myself the hassle of frozen pipes! We would like to wish everybody a very happy New Year. We thank you so much for being with us through 2013 and look so much to what the next year has in store for us. What are some of your favorite 2013 memories? What is it that you are looking forward to the most this year? 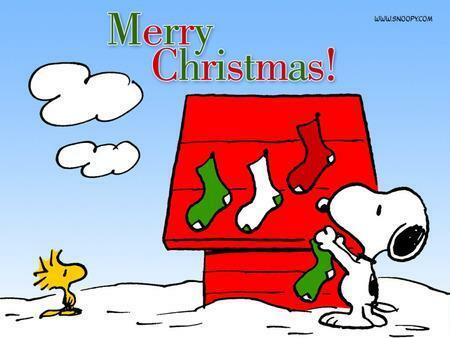 Just wanting to wish everybody a very merry Christmas! With plans on visiting family later today and the fact I baked about 6 dozen cookies last night its starting to feel like the holidays. What is your favorite time about the season? Mine is getting to spend time with those most important to me. Moving is possibly one of the worst experiences of my life. I say that because while there are worse things I have spent way too much time going through the hassle in and out of places in the past few years. (Thank college for that) But anyway, ran across this great checklist of everything that needs to be done. Along with get everything in boxes of course. Thought it would be useful knowledge to share. Bad Weather Coming Your Way? Last week it felt a lot like Christmas this week it feels like Antarctica. With snow on the ground and roads reality has finally hit. It isn't summer anymore. So now is the time to start winterizing the house. (If you've done this already kudos!) Emergency kits, make sure the generator is working, stock up on kerosene, candles, food, and water. This site gives a great list of what all you should get together before the next winter storm. With getting ready for our annual open house tomorrow the office is decorated with trees, reindeer, and garlands galore. You finally realize Christmas is only 3 weeks away! What is it that finally starts putting you in the Christmas spirit? For me it is getting up the tree while Elvis is singing Christmas carols in the background. An agent is needed now as much as ever even though more and more people are using the Internet to discover homes. While the web is the first place people may start to look for a home they often end up at the real estate office. When you're looking to buy or sell a home does the Internet come into play? What about sites such as Facebook or Twitter? 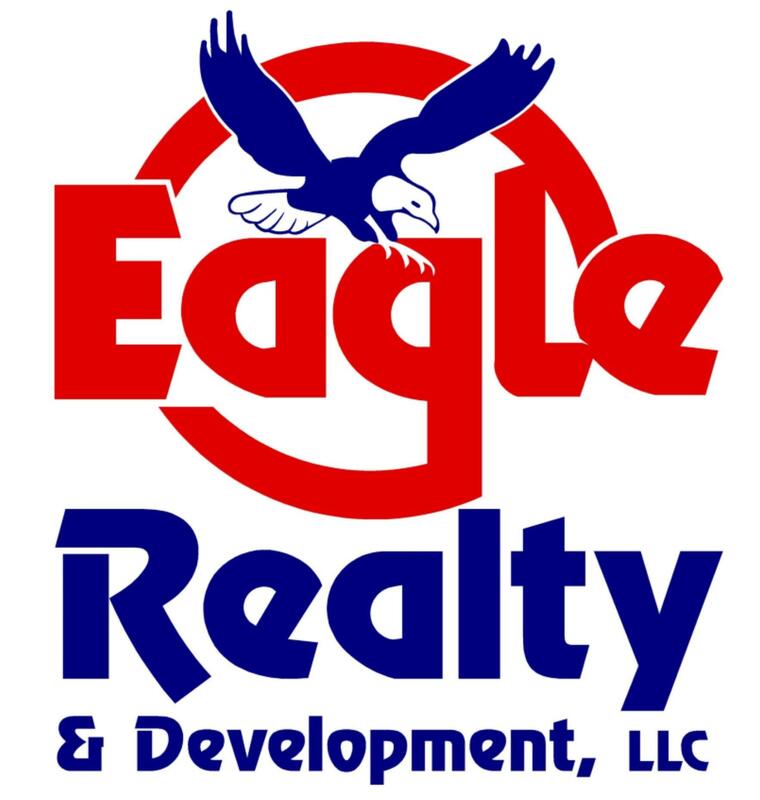 If you're one of those who choose to look online first Eagle Realty is always here to help you make the right decision when it is time to contact an agent. This morning I ran across a website that absolutely had be rolling. The subject? Bad MLS photos. While I am sure no agent is perfect, and photo taking is often left to the last minute with little time to fix or photoshop some of them surprised even me. What are some of the worst photos you have seen? Are you guilty of any of these common photo mistakes? The decision to sell a house is never easy. With the holidays approaching it creates even more problems. There are going to fewer houses on the market which means less competition however less selection for buyers. This article is great for answering some of these questions to determine what is right for you. 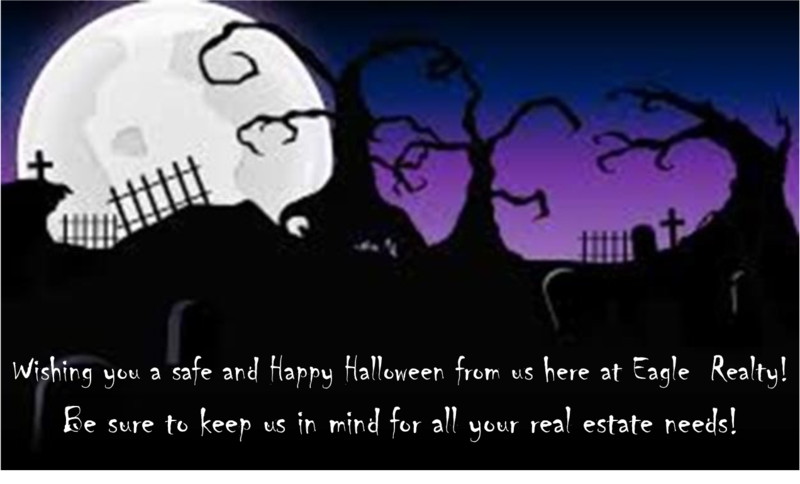 And as always our staff here at Eagle Realty are more than willing to answer any questions you may have. From favorite restaurants to food trucks there are all kinds of new ideas sprouting up in big cities. What would you like to see be brought to Somerset? According to realtor.org the remodeling market index has now moved up to 57, which is the highest it has been since 2004. The main reason for people busting out the sledgehammers? People are doing better financially so they are now taking the time to start all those little projects they have been putting off. What renovations would you like to start? Are you a weekend warrior or just ready to call the contractor?